How to think and work Swedish designers about sustainability today? What does long-term thinking for them? How should a designer relate to producing new things, and how do you create value in a piece of furniture? 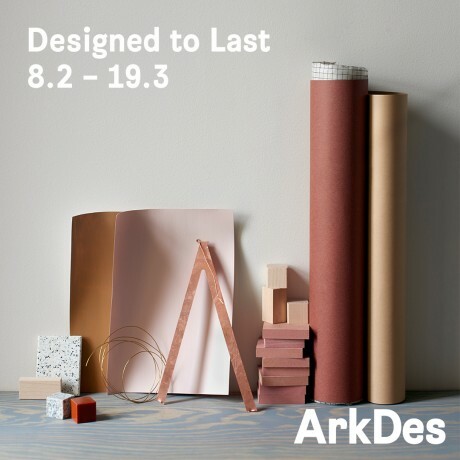 Designed to Last reflect some of the design industry’s most important issues right now - sustainability and respect for the environment - and allows a range of designers themselves tell us about his view of his own role in today’s faster-throwaway society. Another participant Fredrik Färg and Emma Blanche, Johan Carpner, Folkform, Calle Forsberg, Petra Gipp, Christian Halleröd, Mass Productions, Melo, Emma Olbers and Carina Seth Andersson. The selection of works focuses on new works and deals with issues of quality, renewed production processes and use of materials. Curators: Karin Åberg Waern, ArkDes and Hanna Nova Beatrice, Residence. The exhibition is a collaboration between Residence and ArkDes and is portrayed by leading Norwegian stylistduo Kråkvik & D’Orazio.